Feel free download and give me feedback. 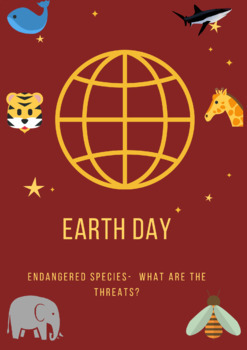 This year's Earth Day 's theme is Protect our Species. 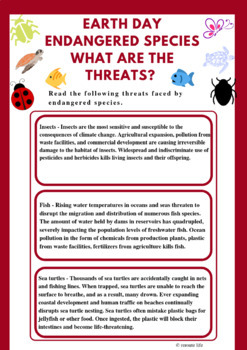 This activity contains threats faced by some of endangered species. 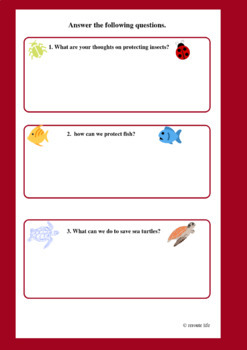 There are questions to invoke students' thought process. Let them think on the lines of protecting these species.